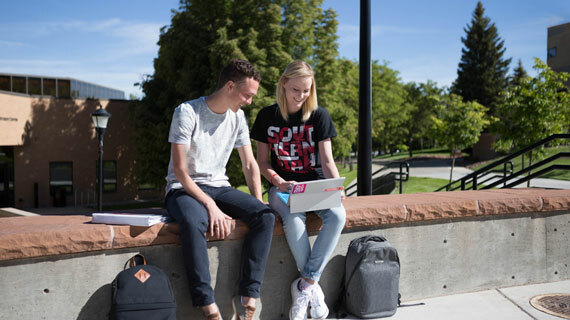 Southern Utah University has been recognized as one of the best colleges offering online learning in the nation by The Community for Accredited Online Schools. The annual ranking for the 2017 school year honored SUU in two different rankings for excellence in online learning. To be considered for the ranking, schools must hold public or private not-for-profit status and institutional accreditation. Top schools are determined by a scoring system that uses value-based methodology, analyzing several qualitative and quantitative points of data. SUU was involved in two rankings: best online schools in Utah and best online master’s degree in communication. Matt Barton, professor and graduate director of the SUU Communication Department, knows that being externally recognized is a major boost for the program. Online courses allow for students to have peer-to-peer discussions that may not occur in face-to-face classes. Interaction in online classes grants students the ability to think critically before contributing to conversations. The types of learning activities and student collaborations that happen in the classroom, can be replicated online. Most learning activities with student collaborations may be replicated online. For more information, check out the Graduate & Online School.